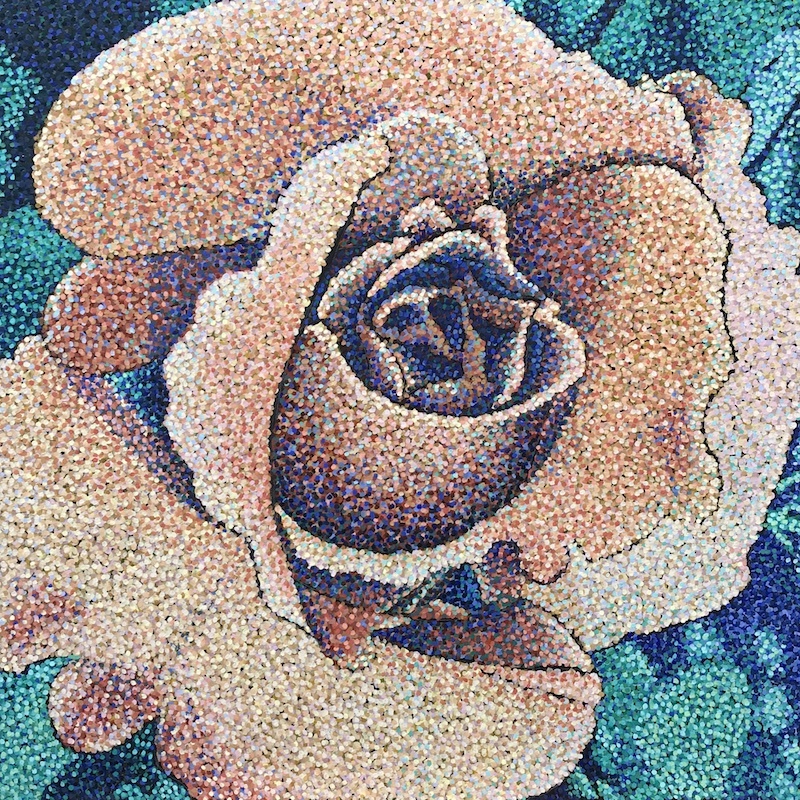 New rose painting by pointillism artist, R. Bangs. Do you appreciate being in the moment? Do you appreciate who you are right now?